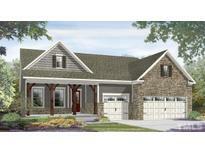 Find Cary, NC New Homes for sale. View Photos, Maps and MLS Data Now! Convenience is a 1st floor laundry, walk in pantry w/ a Sub-Zero beverage center. MLS#2250469. 1133. Renaissance At Regency - HOA maintains all exterior of home & landscaping. Walk to Koka Booth! MLS#2250256. 4303. Jack n Jill Bedrooms on the 2nd floor. MLS#2250098. 1523. Stonewater - Home automation system features programmable thermostats + MLS#2250104. 3789. 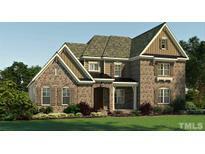 Stonewater - Soaring 2 story foyer, home automation system, many upgrades, corner homesite. MLS#2250102. 3789. Stonewater - Second floor finished with 4th bedroom/bath/bonus room, 3 car garage, backing to 100' tree buffer. MLS#2250112. 3789. Stonewater - Ashcroft B combines open concept with a luxury ranch, second floor finished. MLS#2250090. 3789. See what awaits you in Piazza at Stonewater in Cary. MLS#2250084. 3789. 10' ceilings on main level & 9' on second floor. MLS#2250093. 2826. 10' ceilings on main level & 9' on second floor. MLS#2250060. 2826. 10' ceilings on main level & 9' on second floor. MLS#2250048. 2826. 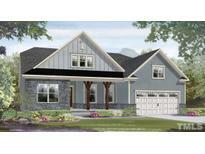 Still time to make design selections on this home! MLS#2250067. 2826. 10' ceilings on main level & 9' on second floor. MLS#2250072. 2826. 10' ceilings on main level & 9' on second floor. MLS#2250051. 2826. 10' ceilings on main level & 9' on second floor. MLS#2250101. 2826. Amberly - screened patio. free standing sink in laundry. MLS#2249891. 3789. Amberly - tile floors in all baths & laundry. MLS#2249890. 3789. Amberly - screen porch and extended deck, hardwood stairs, sink in laundry room, garage service door, additional lighting data and cable throughout, pendant light pre-wire, crown moulding and cased windows, homem theater prewire, gas line to rear, undercabinet lighting, flood light. MLS#2249723. 3789. Amberly - Additional data and cable throughout, pendant lights, additional can lights throughout, laundry cabinets, flood light, undercabinet lights, gas line to the rear, crown moulding and cased windows. MLS#2249721. 3789. Fantastic corner homesite! **Photos not of actual home** MLS#2249753. 1565. Amberly - additional can lights, pendant prewire, cased windows, game room door, luxury owner's bath, guest suite on the main level, tray ceiling, iron railings 1st and 2nd floor, all optional windows and hardwood stairs. MLS#2249772. 3789. Amberly - Winstead C with third floor, design package 1D, guest suite main floor with walk-in tile shower, hardwood stairs, all optional windows, iron railing 1st and 2nd floor, tray ceiling owner's suite, additional lighting throughout. MLS#2249788. 3789. Amberly - Somerset A design package 2G, guest suite with walk in tile shower main level, all optional windows, screen porch, hardwood stairs, iron railing 1st floor and open iron railing 2nd floor, sink in laundry room, double bowl vanity, additional lighting throughout, crown moulding first floor. MLS#2249794. 3789. Amberly - Winstead A design package B. all optional windows, hardwood stairs, iron railing main level and open railing, tray ceiling, guest suite main level, luxury owner's bath, double bowl vanity, cased windows, additional data and cable and lighting. MLS#2249774. 3789. Amberly - Winstead A design package E. Guest suite main floor with walk in shower, hardwood stairs, double bowl vanity, tray ceiling, open oak rails, additional lighting and crown moulding. MLS#2249784. 3789.